This is the story of a trail blazing pioneer in Terlingua education; but it is also a story of chivalrous love with high honor. This is the story of my mother, Celestina Rodríguez Peña. Celestina Rodríguez Peña was born circa 1898 in San Esteban, Texas, which was destroyed when the Alamito Dam was built circa 1908. At one time, Celestina and her family lived in the Big Bend area ranch known as Cibolo Creek Ranch, which is now a luxury ranch resort for the very wealthy. This ranch was once owned by the iconic Milton Faver. buster/horse whisperer at Cibolo Creek Ranch and various other ranches. My grandmother, Encarnación Ornelas Rodríguez, was the chef and seamstress for these ranches. Celestina and her siblings attended the ranch schools, which were financed by Presidio County and the ranch owners for the education of their children as well as the children of the ranch hands. From the age of six, Celestina and her siblings were fluent in Spanish and English, which was very unusual for those days. 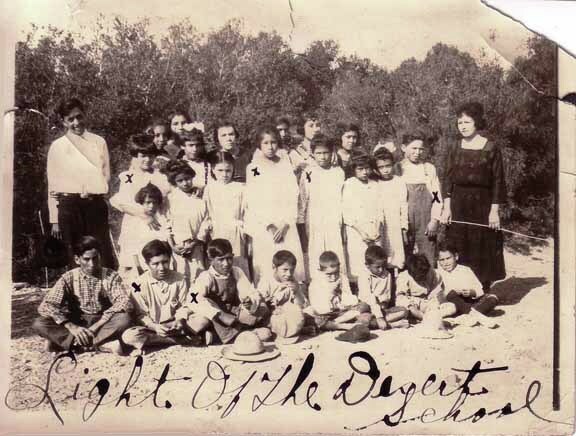 After Celestina finished the fifth grade at the ranch schools, Encarnación moved the family to Shafter, Texas, area circa 1909, so that Celestina and her siblings could continue their education. This move was against Paz' wishes, but Encarnación was determined that her children were going to be educated with or without Paz' consent. Encarnación moved her family to Shafter sans Paz, rented a house, opened a taco stand, took in laundry/seamstress work and operated a Mexican pastry shop to support the family. Eventually, the carousing, heavy drinking, womanizing, macho man, Paz, rejoined the family in Shafter and, at Encarnación's strong insistance, quickly found employment in the Shafter mines as a mill hand. Celestina and her friend Lucy Madrid Rede Franco were among the first students of Mexican ancestry to attend Sul Ross Normal College during the summer of 1922. Lucy went on to become a renowned teacher from Presidio County. Lucy and Celestina were reared together in Shafter and treated each other as sisters. A formal picture exists of Lucy and Celestina when they were about age 20; and they were two beautiful knockouts, even by today's standards. Lucy in later years was twice honored as Texas Mother of the Year and all eight of her children graduated from college, all with graduate degrees. The children have established a scholarship foundation in honor of their parents, Manuel and Lucy Madrid Rede Franco at Sul Ross University. treasured picture, Celestina is shown outside the... Light of the Desert School with about 30 of her students and a horse whip in her right hand. Other pictures exist with students, friends and siblings at the Ochoa Ranch. Some of her students were probably older than she was. Celestina taught for one year in Fort Stockton during the 1920-21 school year. 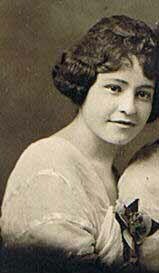 Celestina was the first, certified teacher of Mexican ancestry to teach in the Fort Stockton schools and probably Pecos County. While in Fort Stockton, she met Manuel Lugo Peña. 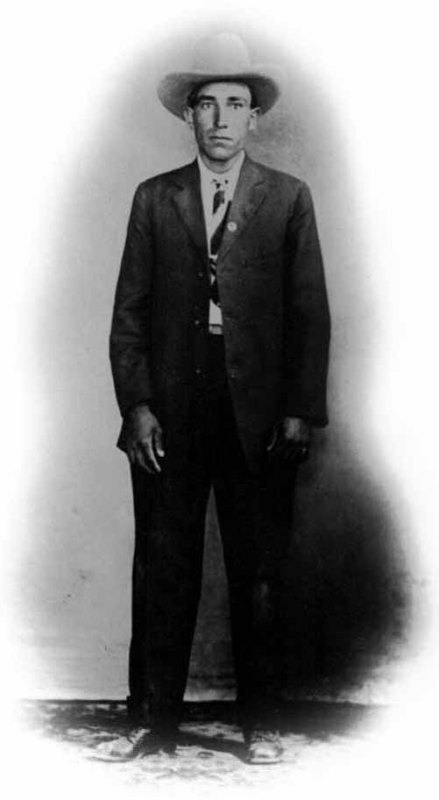 Prior to meeting Celestina, Manuel had served in the US Army during World War I, from 1916 to 1918. Celestina had a requirement that she would not marry until her younger brother became an adult. Manuel was willing to accept her condition; and in 1921 they got engaged. Manuel waited patiently for eight years. Finally, around June 29, 1929, they got married, at our Lady of Peace Church, Alpine, Texas. What a love story of romance, commitment, responsibility, respect, and endurance! Celestina and Manuel had four children. Three became teachers, and one a newspaper printer. © 2010 Juan-Paz Peña; all rights reserved.